The Department of Mathematics will host the Shanks Workshop on Free Probability and Applications September 15-16, 2018. The aim of the workshop is to bring together experts in free probability theory and adjacent fields – including random matrix theory, probability, and subfactor theory – to discuss possible applications of free probability in these fields. Invited speakers include Ian Charlesworth (University of California, Berkeley), Ken Dykema (Texas A&M University), Michael Hartglass (Santa Clara University), Benjamin Hayes (University of Virginia), Jonathan Novak (University of California, San Diego), Vern Paulsen (University of Waterloo), and Qiang Zeng (Queens College, City University of New York). 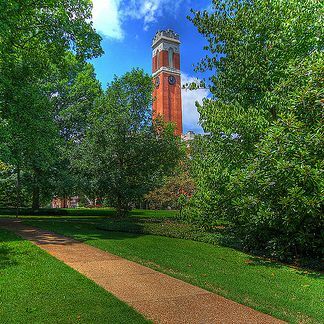 Funding for the workshop is provided by Vanderbilt University and the Department of Mathematics Shanks Endowment. The conference organizers are Dietmar Bisch and Brent Nelson, both of Vanderbilt University.